MEET SOME OF THE WOMEN FEATURED IN OUR FILM! They all live and work in a dangerous environment. However, nothing will prevent these women leading lives of passion and purpose! Whether it's fighting crime syndicates and poachers in a secret court room, deep in the Kruger National Park, like Ansie Venter or a foot soldier like Tinyika Golele, who is the first female ranger to lead an anti-poaching ranger section in the Kruger National Park. Her gentle demeanor belies a strength of character that’s startling and impressive, working in such a remote region. Or Dr. Zoe Glyphis, a young wildlife veterinarian in South Africa who never knows where that midnight call will take her, or what she’s going to encounter when she arrives. Could just be the injured creature left behind by poachers, or it could be to ward off a pack of hyenas circling to feast on that animal. She makes split second assessments when she arrives; whether she can save the terrorized animal, or must euthanize it, is it even safe to perform procedures or are poachers still lurking, hiding in the bush and waiting for an opportunity to return? Mrs Zikhali used to walk 10km each way daily just to receive education with her children. 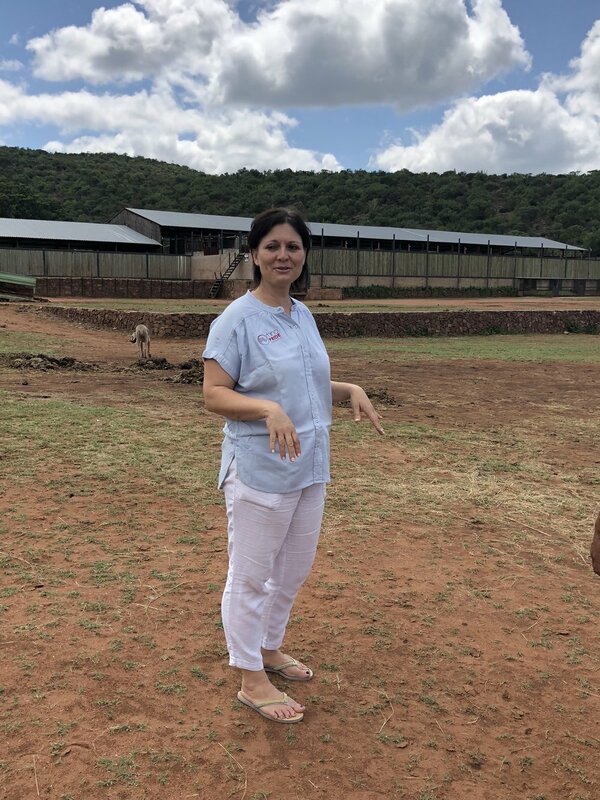 Eventually she built her own eco school where she now teaches her children the value of protecting and investing in their wildlife. Their stories are as varied as they are fascinating - we can’t wait for you to meet the ladies of “Breaking Their Silence: Women on the Frontline of the Poaching War. JUST SOME WOMEN SHARING THEIR JOURNEYS WITH US IN THE FILM.